The Rose Gardens (officially known as International Rose Test Garden) located in Portland, Oregon has become one of the iconic symbols of this area since its creation in 1917. Being a resident of the greater Portland/Vancouver metro area, I have visited the gardens many times. During this time of the year the myriad roses that fill the several acre park are in full fragrant bloom. 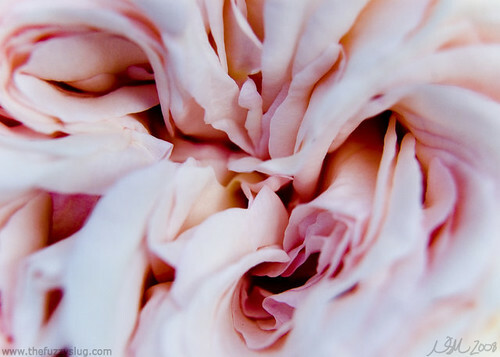 Having photographed the roses numerous times, I'm always looking for new methods and perspectives to capture. While I enjoy a nice rose photo that depicts the flower (open or in bud) beautifully centered, filling up most of the frame, I have gotten bored with that particular composition. As a result, I have been exploring the macro world of this rose forest. My tools for macro photography include a wide angle lens, a set of macro filter lenses, a telephoto lens with macro capabilities, and, of course, my Nikon D50 DLSR camera. Most of the time I use the wide angle lens with some combination of the macro filter lenses attached. The reason I like this method better than the macro setting on the telephoto lens is a) I don't have to stand at a distance in order to focus on the subject, and b) the wide angle lens allows me to shoot at higher shutter speeds. This second reason is most important for me because the higher the shutter speed the more likely I am to avoid any blurriness caused by magnification of hand held camera shake. Ideally a tripod is recommended for macro photography for this very reason, but let's face it folks, tripods aren't practical to lug around everywhere you might want to do some casual photography. Even small portable ones aren't going to help you much if you want to shoot at a weird angle or anything taller than the tripod height. At least that is what I have found in my experience. That's not to say I don't ever use tripods; I do. In fact I carry a small one in my camera case. However, faced with a beautiful sunny day, I'll choose hand held over tripod if I feel I can get away with it (i.e. get sharp images). 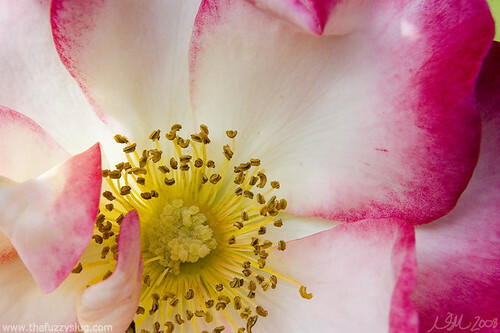 When shooting macro, I ask myself how I can highlight the distinctiveness of each rose. 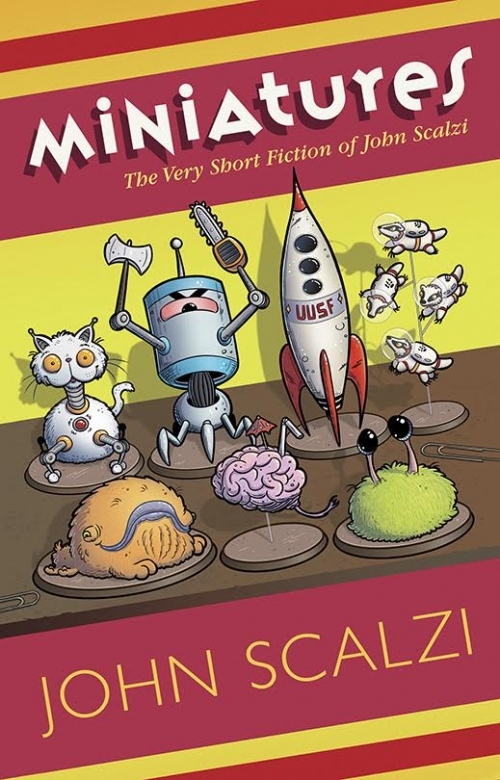 I try to fill the fame in a way that shows the character of the subject by only focusing on a small piece. In the case of the two photos above and below, both had interesting textures. For the photo above, I tried to emphasize the crumpled, almost face-like, appearance of the bloom. 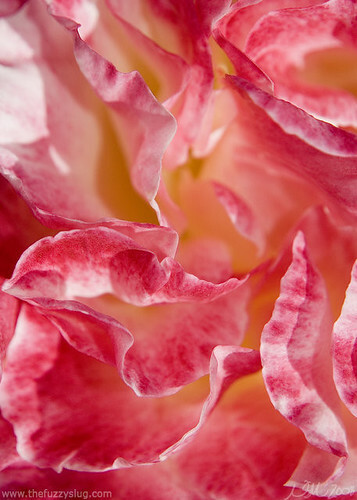 For the photo below, the shape of the edges along with the coloration and patterns in the petals were intriguing. I made sure to focus on just the edges for this shot. In addition to the hundreds of different type and colors of blooms, there were the small inhabitants of the gardens. 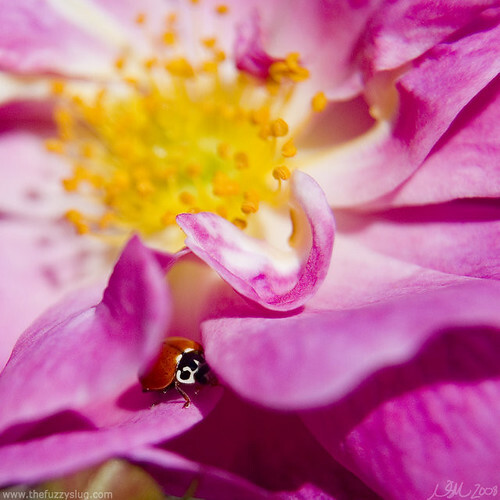 While shooting a small bloom variety, I found this wee bitty ladybug hiding within the petals. It looked cozy nestled within the bloom. Focusing on just the ladybug, I kept a wide aperture size to allow the rose to be a bit fuzzy while forcing the eye to the sharp ladybug.